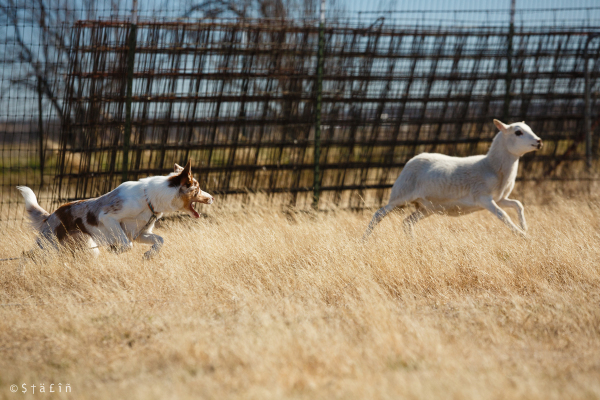 Treasure is a bold and extremely athletic girl. she is light on her feet and very keen and forward on stock. She has medium eye with a more upright stance. she naturally wants to balance her stock and has the beginnings of an outrun. She has great endurance and handles the heat well.. In Agility, because she is such an effortless jumper, she shows potential for International jump heights, preferring to tuck her paws up and stay off of the bars. She is very flexible in her spine and although her tendency is to remove strides, she is happy to collect and add strides when asked. 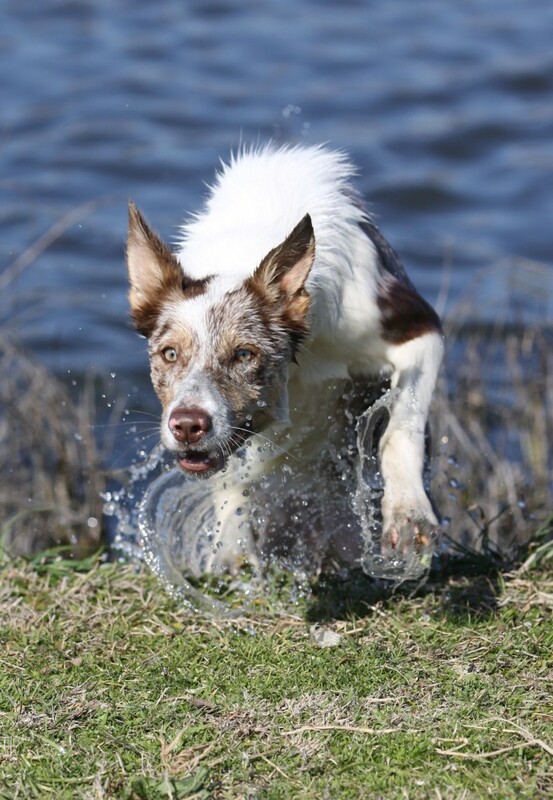 Treasure has lots of power and acceleration and has picked up her foundation Agility work with ease..
At home Treasure loves nothing more than approaching and playing with small chidren and strangers and has no sensitivities to sounds, novel environments or obstacles. She is happy in any new situation. HomeAboutTreasure InfoTreasure's Line and VideoCooper InfoCooper Pedigree-VideoTreasures Pedigree pageTreasure GalleryCooper GalleryPuppies!